(Foreign Policy in Focus) – It’s unpopular at home and abroad, and regional politics don’t favor it. But we should take neocons like Bolton at their word. French President Emmanuel Macron (L) meets with Iranian President Hassan Rouhani (R) on the sidelines of the UN General Assembly at the UN headquarters on September 25, 2018, in New York. (Photo by ludovic MARIN / AFP) (Photo credit should read LUDOVIC MARIN/AFP/Getty Images). 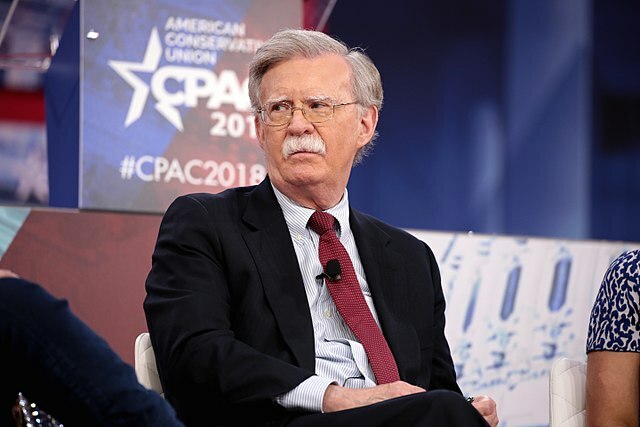 Featured Photo: “Former United Nations Ambassador John Bolton speaking at the 2018 Conservative Political Action Conference (CPAC) in National Harbor, Maryland. 22 February 2018, by Gage Skidmore from Peoria, AZ, United States of America. Creative Commons License.